I have been a coffee aficionado for many years and a regular at La Molienda and Rosevelvet right from the start. But I always missed a coffee shop in my own hood. No longer! 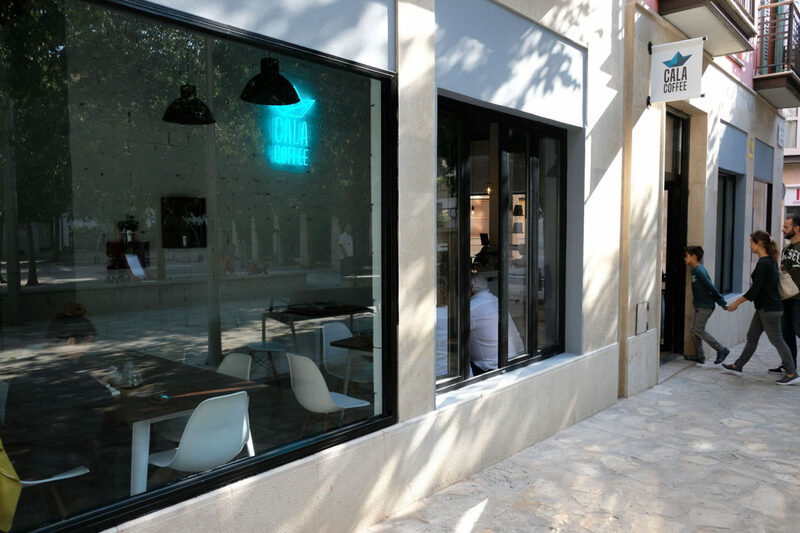 Just a couple of weeks ago Cala Coffee opened its doors onto pretty Plaça Nova de la Ferreria. And I loved it the moment I stepped inside. 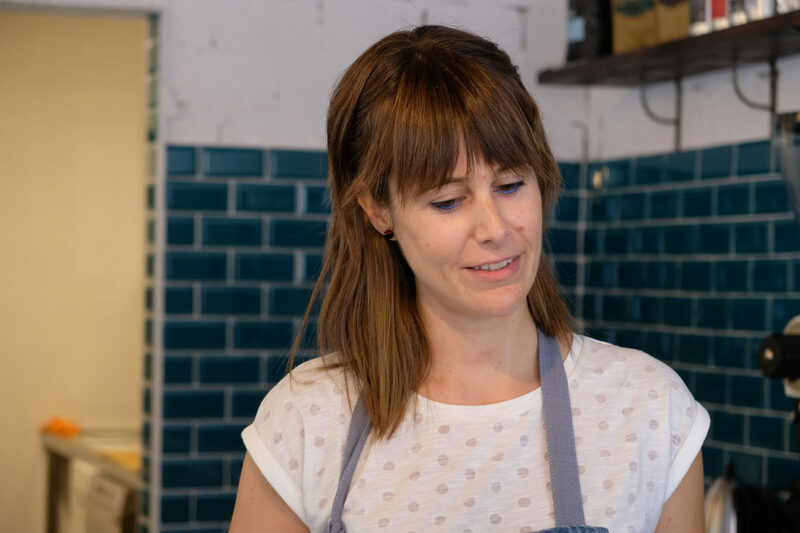 Ivan and Sara were both working for a Chilean Airline in Madrid when they discovered their passion for coffee shops. 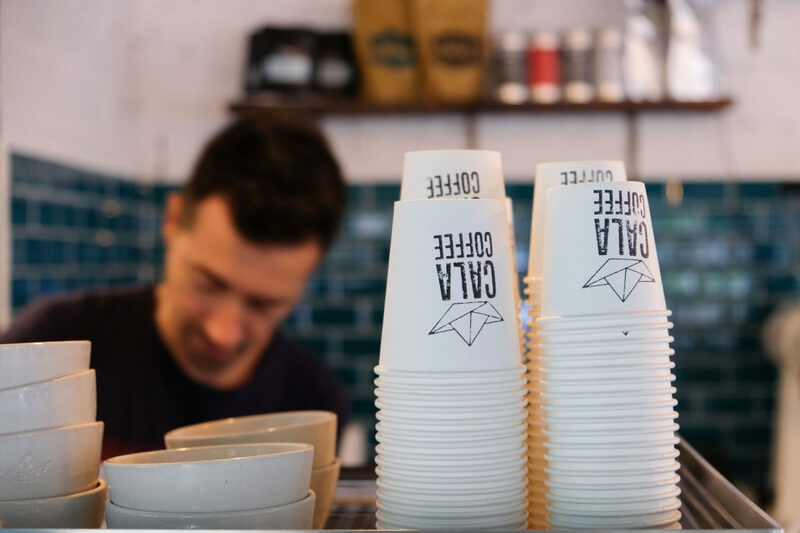 Cosy hideaways where you can spend endless hours with an americano or cappuccino while you browse a magazine, check your emails or meet friends. Home was where they had great coffee. 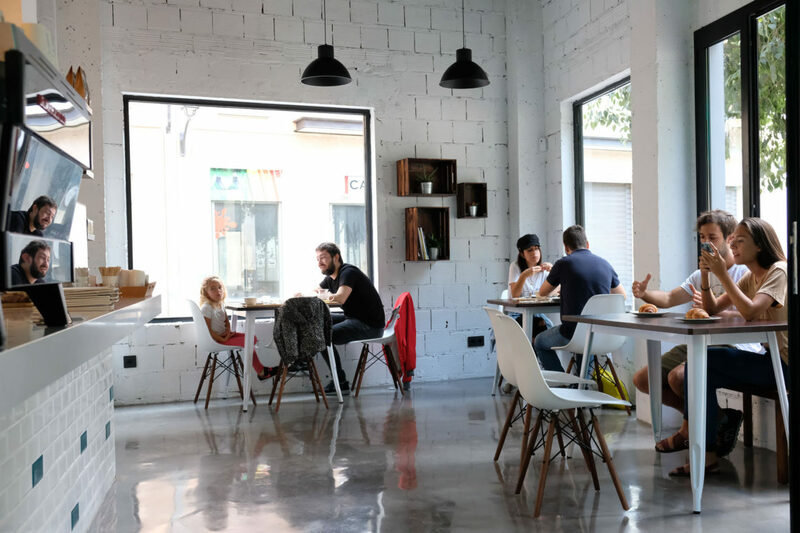 One day they decided to leave Madrid behind and open their own café in Palma, Cala Coffee. And while Ivan masters the art of the barista Sara bakes wonderful cakes. In addition to a variety of coffees and teas Cala offers a selection of tasty snacks for any time of day. 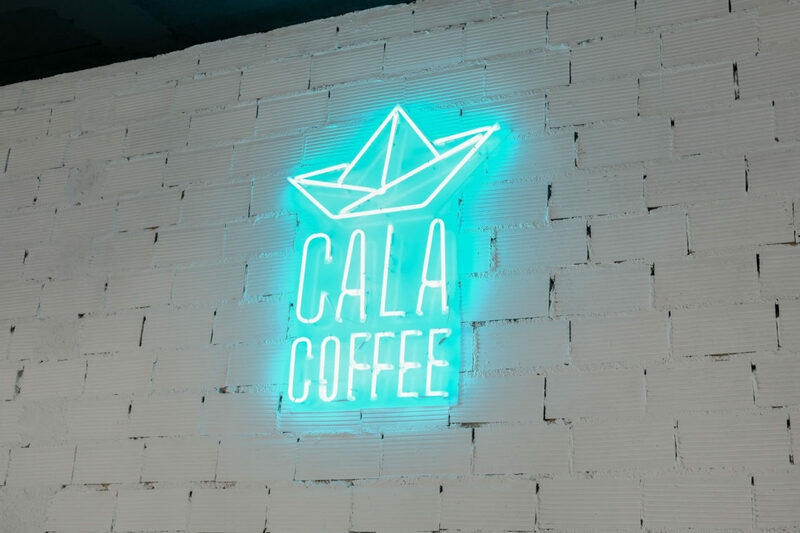 With its bright white interior and the broad windows Cala Coffee looks like one of the cool new coffee shops in Berlin or New York. But the people sipping their coffees are also part of Sa Gerreria’s street life. Parents take their children to the playground on the plaça while elderly people meet on the adjoining benches to read the papers or share the latest news. Years ago in Canada I read about coffee shops being an indicator for a creative neighborhood. And indeed, there’s been some interesting additions to Sa Gerreria, lately. 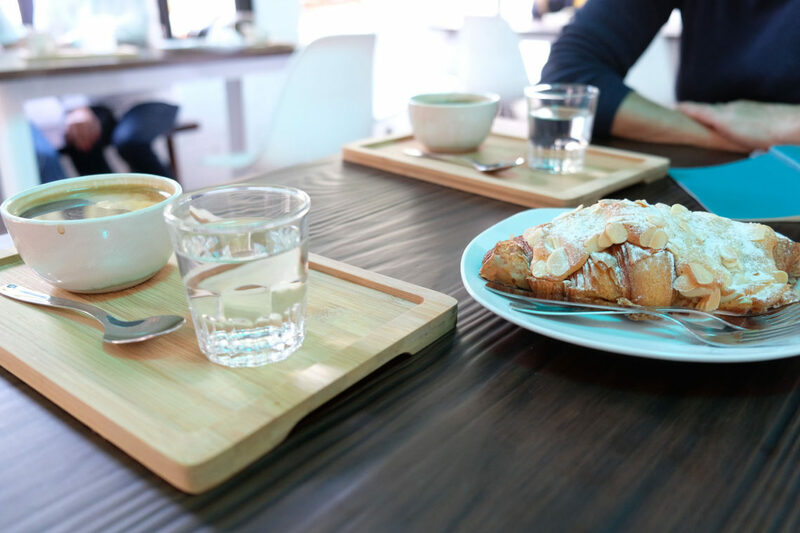 Places like Rata Corner, Botons, Raimundo Burgers, and now Cala Coffee. Little by little, stores that have been vacant for years become new hubs for the barrio’s reinvention. Back to its roots, since this part of the old town has always been a vibrant quarter.